Celebrating a new pump station and the reopening of Cove Park. 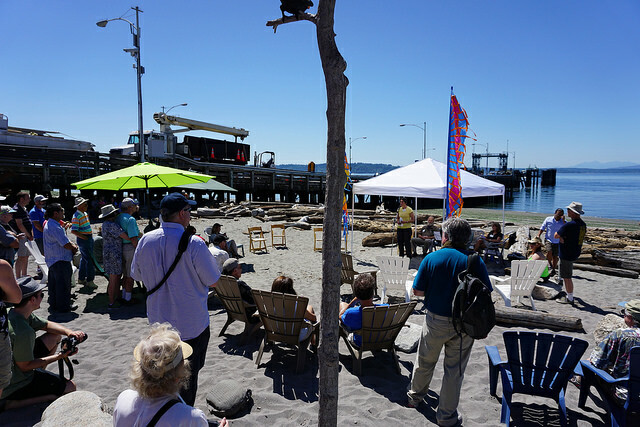 It was a gorgeous day for a beach party! 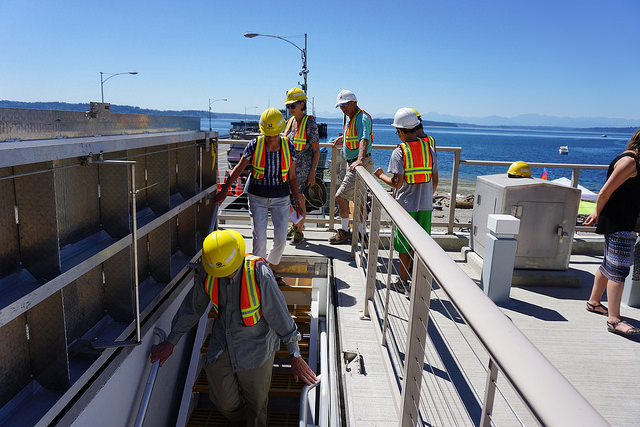 On June 18, neighbors in West Seattle’s Fauntleroy community joined us to cut the ribbon on our newly completed Barton Pump Station upgrade project. People were also excited about the grand reopening of Fauntleroy’s Cove Park, which was closed for three years during construction on the hard-working pump station that’s been in service since 1958. Twenty-first century updates include new pumps with more capacity to serve the growing population while protecting Puget Sound and Fauntleroy Creek from stormwater and sewage overflows during heavy rains. Other features include new electrical equipment, emergency backup power, quieter operation and improved odor control. New landscaping will be installed when cooler weather arrives. The Fauntleroy Community Association celebrated the park reopening and restoration with an original song, “Stream Echos”, composed by their members and performed by musician Tomo Nakayama-Tran. The Barton Pump Station underground tour. King County’s Barton Pump Station will move about two million gallons of wastewater each day to the West Point Treatment Plant in Seattle’s Magnolia neighborhood, with the capacity to manage up to 33 million gallons of wastewater during storms. July 25, 2015 in Construction, Protecting Our Waters.